The South Platte River runs next to a farm in Henderson near one of the possible reservoir sites for a regional water project proposed by a working group of Front Range water providers. LONGMONT – A new concept for a large water-storage and pipeline project on the South Platte River is gaining traction among Front Range water providers as the project’s planners now intend to seek state funding to study the project in greater detail. 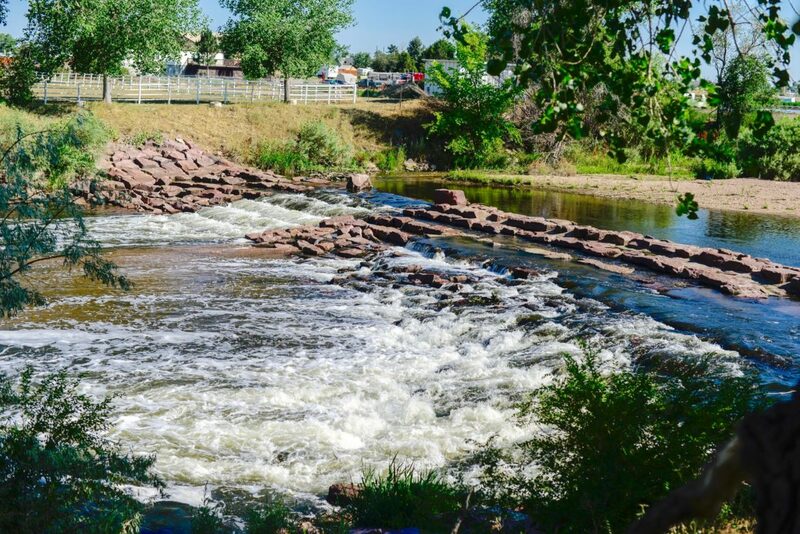 A group of water providers and consultants known as the South Platte Regional Opportunities Working Group, or SPROWG, unveiled the project concept in May to statewide water managers after more than two years of informal closed-door meetings to refine the concept. To continue shaping their idea, a collection of water providers are now preparing to apply for $390,000 in grant funding from the state, with $77,500 coming from both the Metro and South Platte basin roundtables and $195,000 coming from the Colorado Water Conservation Board, which has to approve the overall grant application. The remaining $40,000, or about 10 percent, will be covered by the project’s sponsors, which include water providers from throughout the Front Range. As part of the effort, three documents were presented on July 16 to the Metro basin roundtable members, a preliminary proposal, an outline of proposed tasks, and a related study on potential storage and pipelines from the Colorado School of Mines. The proposed project would include three storage facilities that could hold up to 175,000 acre-feet of water and produce an annual firm yield of 50,000 acre-feet of water for use by Front Range cities. Ruedi Reservoir above Basalt, by comparison, holds about 100,000 acre-feet. 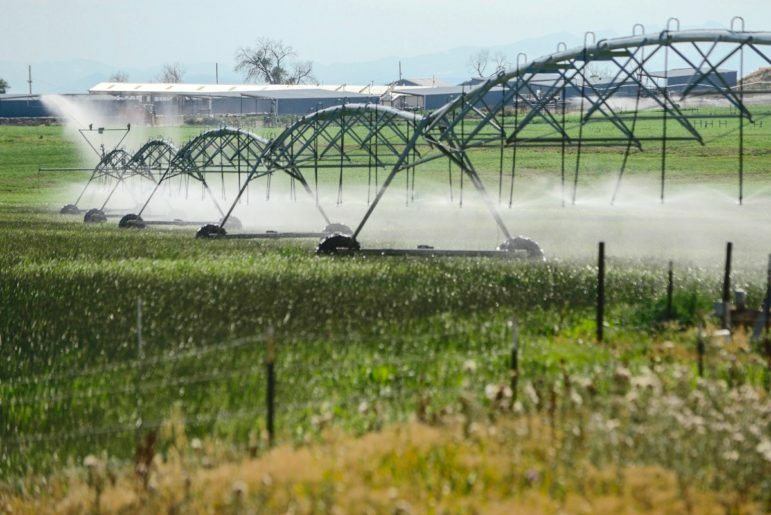 The potential project would store 50,000 acre-feet of water in Henderson, just north of Denver, 100,000 acre-feet in Kersey, downstream of Greeley, and 25,000 acre-feet farther downriver at the Morgan County line. New potential water-storage facilities might include off-channel reservoirs, reclaimed gravel pits, and underground storage facilities at the three strategic locations along the river. A key component of the project is a long pipeline and pump system from the lower river back to the metro area north of Denver, in order to re-use the water released earlier from the upstream storage facilities. The project is also seen as a way to increase the opportunities for the temporary transfer of water from agricultural users in the lower South Platte basin for municipal use. Irrigation sprinklers run over a farm in Longmont in the South Platte River basin. 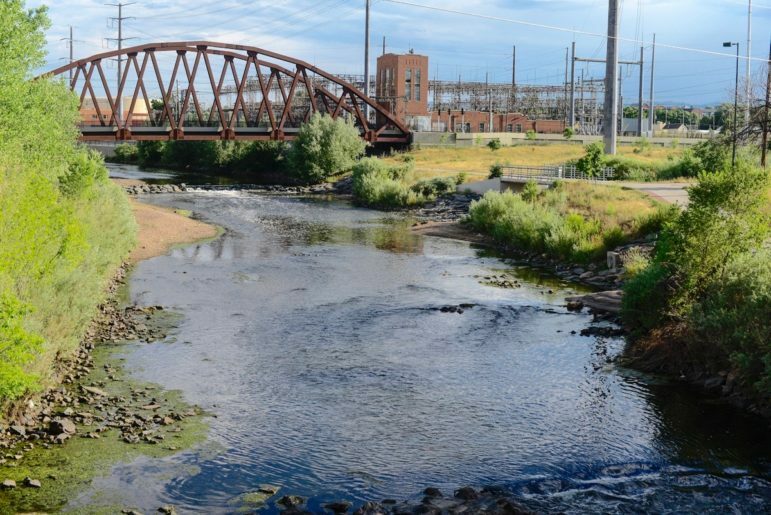 One goal of an emerging storage project on the South Platte is to make it easier to temporarily use water from agriculture to meet the growing needs of the Front Range metro area. Representatives from Denver Water, Aurora Water, Northern Water, the South Metro Water Supply Authority, the St. Vrain and Lefthand Water Conservancy District, the Lower South Platte Water Conservancy District, and the North Sterling Irrigation District have been serving as members of the SPROWG working group. With the CWCB’s August 1 grant deadline approaching, the members of SPROWG have now created a larger working group dubbed the South Platte Regional Water Development Task Force to help create a grant application to the state. Members of the larger task force presented the storage concept this month at both the Metro and South Platte basin roundtables, which review grants before sending them up to the CWCB for approval. Both of the Front Range roundtables voiced support for the task force to submit a formal application. Also recently, the board of the Lower South Platte Water Conservancy District voted to serve as the fiscal agent for the project. The task force members at the table aren’t the only ones that will be watching this proposal as it moves forward. Though the South Platte storage concept does not call for an additional transmountain diversion, the size of the reservoirs caused concern among some in the West Slope water community, who saw the project as providing more storage opportunities for water from across the Continental Divide. Task force members sought to assuage these concerns at a recent meeting, assuring those present that the proposed project was about better utilizing the resources on the eastern side of the divide, not creating a stealth way to use more water from the western side.